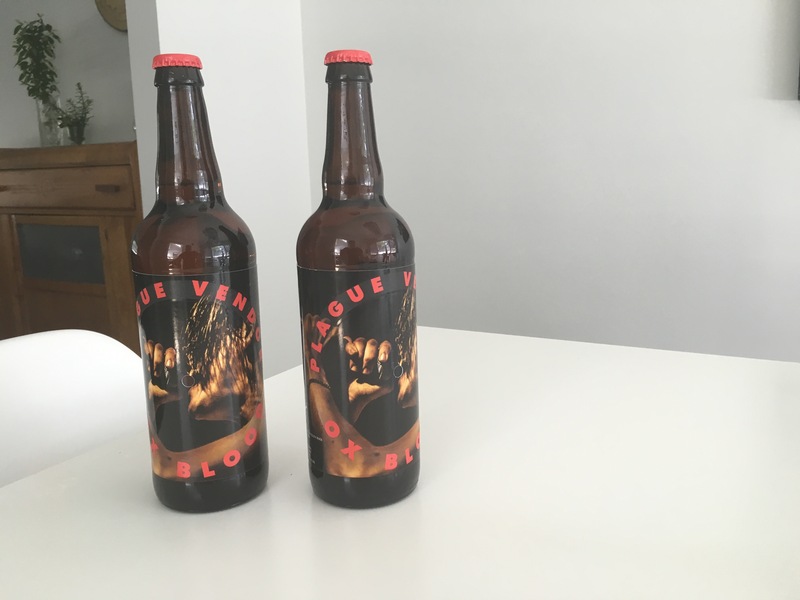 The song from Plague Vendor, whose online bio touts their “voodoo punk” style, which is of course “a dance-fueled rock aesthetic tinged with shadowy darkness,” is decent, and if you’d like to check out the tune before you buy the beer, you can hear the track here. I personally prefer my darkness less shadowy but it is a nice tinge. As for the beer, well, Highlander calls this “a summer pale ale with west coast inﬂuences,” and while to my mind that might suggest aromatic hops and juicy citrus with a low ABV, this beer really just tastes and feels like a strong blonde ale or a lager to me. It’s 5.4% ABV and is essentially just a relatively inoffensive beer with the most notable characteristic being its lasting bitter finish. It’s not a “summer pale ale,” but it’s not bad. It’s the kind of beer I imagine I’d drink if I was at a Plague Vendor concert. 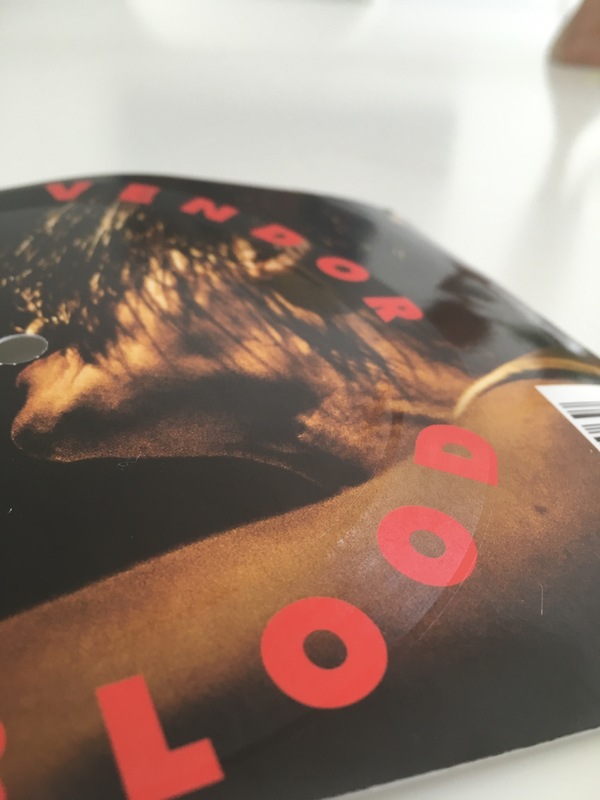 The folks at Highlander were pretty excited to get this item to me, and while it’s taken me forever to review it (Sorry! ), I’ll admit it is a pretty cool idea. I can’t say I love the music (you may very well, I’m not a music critic) or the beer (I am a beer critic…), but in an industry where brewers seem to be seeking any excuse for “buzz-worthy” collaborations, this innovation at the very least opens up some new potential avenues for interesting beer and music pairings. So yes, it’s essentially gimmicky a item, but it’s $7.50 for a beer and a record. That’s pretty cool. 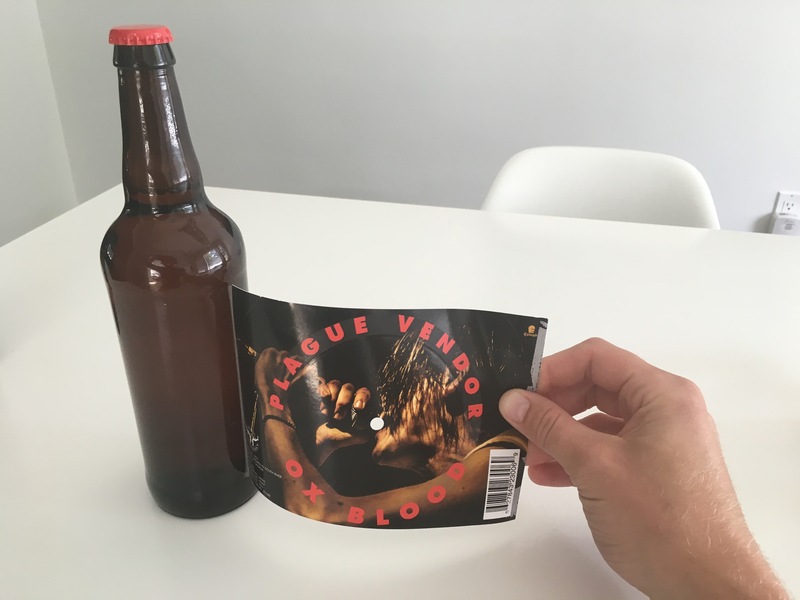 It’s definitely the best album I’ve ever owned that came stuck to a beer bottle and is also the best beer I’ve ever had that has a playable record for a label. So they got that going for them. Which is nice. Get yours for a limited time from The Beer Store and direct from Highlander Brew Co. while supplies last. A cool idea but strange bedfellows. Highlander doesn’t strike me as a punk rock (or music in general, unless it’s bagpipes) type of brewery and Epitaph doesn’t seem like the type of label that would pair with a North Ontario Scotish-influenced brewery. I would have expected this from Beau’s or Collective Arts or Refinded Fool (or 60 others) before Highlander. I’ll be buying one, so kudos I guess. That’s a really neat idea! Not familiar with that band or the brewing company, but seeing that would make me curious enough to buy it. I didn’t think too many people had turntables these days, but . . . it’s still a really cool idea. That’s unbelievable!! Vinyl and beer are my two loves.